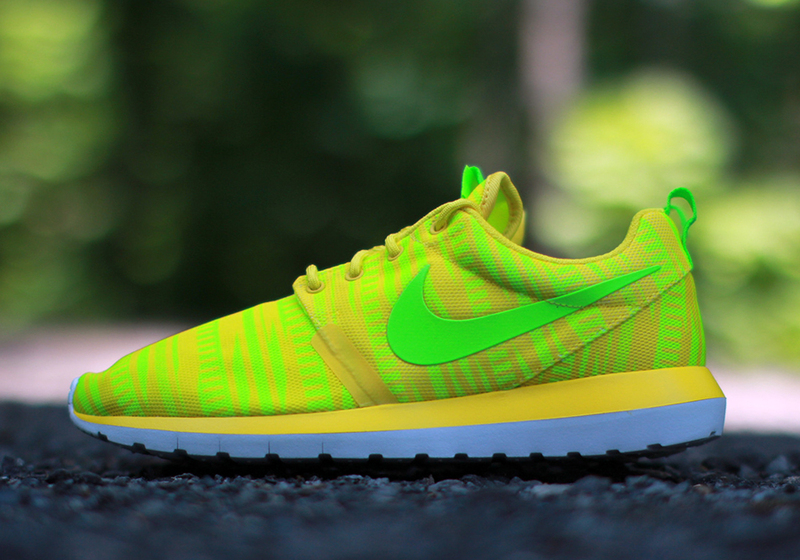 Another bright Summer ready Roshe Run is available now directly from Rock City here. These "NM" Roshe Run's feature a super bright and bold Charm Yellow covering the entire upper with hints of bright green as well giving them a dope pattern look. That same Charm Yellow color lends itself to the midsole as well giving these a whole different feel than what any other Roshe Run out there is doing right now. Look for these at select Nike Sportswear retailers worldwide.